Depending on popular customer demand, weDevs released version of WPUF 2.6.0 with exciting feature subscription reposition. User of WPUF are quite familiar with it’s subscription feature where the admin can create a number of different subscription packs and she/he can allow subscribers to subscribe into different packs. What’s new is that, now you can restrict any subscription pack you want to any user. Adding a little attribute in the shortcode, you can easily stop some of your users to see a subscription pack that they are not allowed to buy. How can you do this, is described in this article. 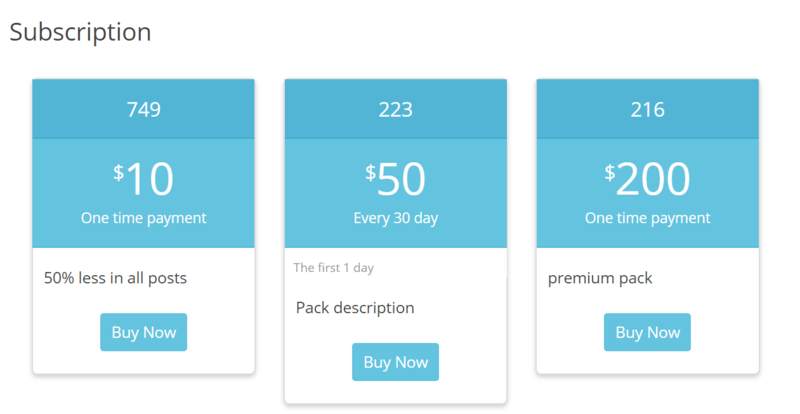 It’s assumed that you are familiar with how our subscription packs work and now you are trying to restrict your packs to some users. Let’s get started. 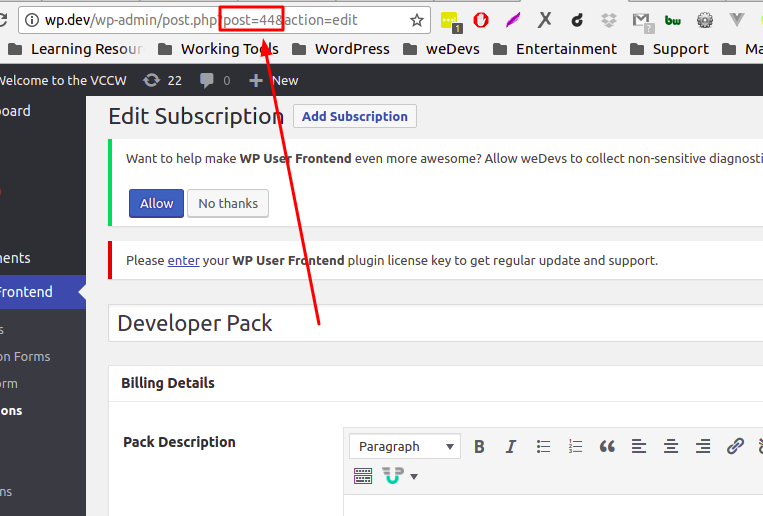 Step 2: Now you need to create page by navigating : wp-admin > Pages > All Pages, where you will write the shortcode to restrict your subscription packs. There are two different attributes: include and exclude. To show them different page, you need to write them in different pages. 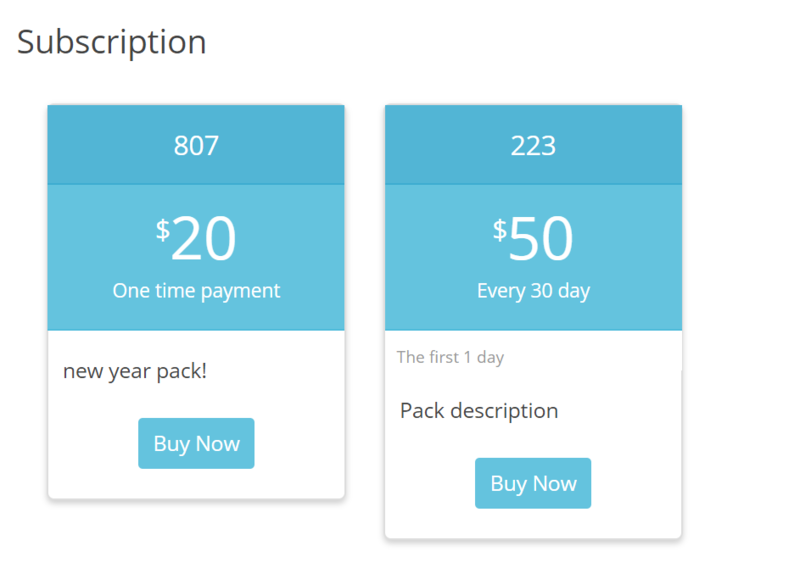 Viewing the page: Now you will see the packs exactly as you placed them. Here we are! You have included only some selected packs in one of your page. This is the screenshot of the shortcode. Now you can add some attribute with exclude like how you want to show it in ascending or descending form based on a lot of different parameters like ID or date. For that, you need to edit the shortcode. There you go! 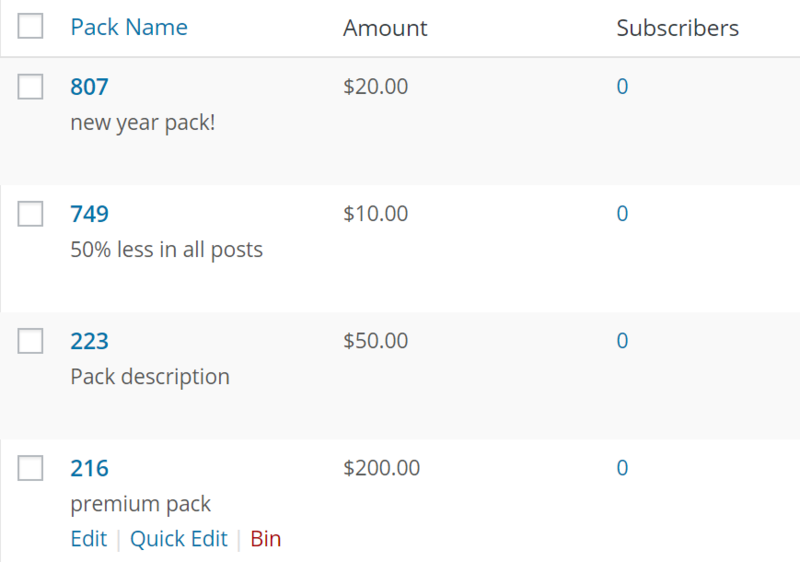 That’s how you can reorder your subscription packs and can have full control over which pack you want to show where.